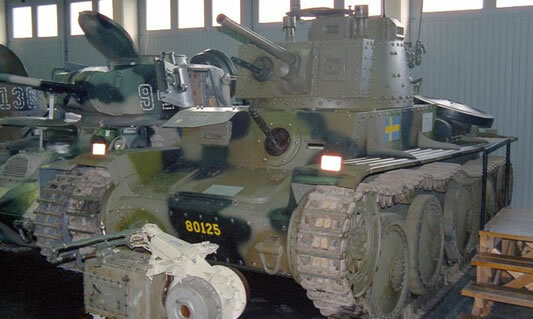 The Swedish Strv M/41 Light Tank was a licence built Czechoslovakian CKD/Praga TNH Light Tank, however it was fitted with a more powerful indigenous Scania petrol engine. The vehicles remained in service well in to the 1950’s. During the 1960’s they were converted in to the Pbv 301 Armoured Personnel Carrier.